Welcome to our range of Mosquito and Midge Pest Control Products and Supplies that can be seen below this short write up. If you prefer to order by telephone or need any advice, please give us a call on 03330 119703 UK. We supply the best and most effective DIY Mosquito and Midge pest control products to buy online for delivery throughout the UK, France, Italy, Spain, other parts of Europe and the rest of the World. There are many species of mosquito [ commonly known as 'mozzies' ] found throughout the world. There are 33 different types of this insect found in the UK, few of which bite humans, with most preferring to bite animals or birds. In many parts of the world, mosquitoes carry diseases and recently we have had press reports of the 'Zika' and 'Killer' mosquitoes now being present in the UK. Mosquitoes and Midges thrive in warm, damp conditions such as near marshland or wetland. Mosquitoes can also be found in ponds or water butts in the garden. Dawn and dusk are times when mosquitoes and midges are very active as they search for a blood meal. They both have an ability to detect carbon dioxide [ that we exhale ] from about 200 metres away which allows them to 'home in' for their next feast. We have a selection of products to kill or repel mosquitoes and midges whether inside the house or outside in the garden. 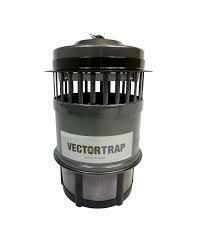 We are stockists of the excellent Vector T10 Mosquito and Midge Killing Trap and its Octenol Lure for use indoors or outdoors as well as a Plug In Mosquito and Midge Killer Trap for use inside the home, business or to take away on holiday to make sure that you are not bitten by these blood sucking insect pests. 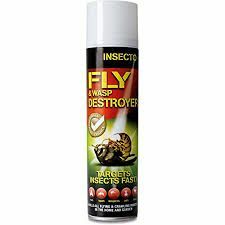 We also supply an Automatic Micro Spray for use inside the home or business that gives regulated bursts of insecticide to kill and control mosquitoes and midges along with a general Flying Insect Aerosol Spray for spot killing these biting pest insects. 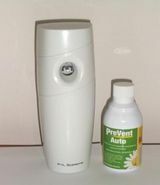 We also stock Prevent Personal Protection Aerosol that repels mosquitoes and midges and we have an effective, Electronic Insect Swatter. Our products have been chosen for being the best and most effective in the treatment and eradication of mosquitoes and midges. These pest control products will kill, stop and get rid of these pest insects found in the home, business or garden. Vector Trap T10 Mosquito and Midge Killer Trap is for indoor or outdoor use to kill and stop problems with mosquitoes and midges. Covers up to 150 square metres. Replacement Lure for the Vector T10 and Amplecta Mosquito and Midge Killing Trap. Plug in Mosquito and Midge Vac Catcher Trap. Plug In Mosquito and Midge Killing Trap is ideal for use in the home or business as well as for taking on holiday to stop mosquitoes and midges being a problem with their bites. There is a an integral blue uv light that attracts these biting insects into the trap. Mosquito and Midge Micro Spray and Aerosol is an automatic system that releases insecticide at regulated intervals to kill and stop a problem with mosquitoes and midges. Replacement Aerosol for the Mosquito and Midge Micro Spray. 1 x can will last for approximately one month. Mosquito and Midge Killing Aerosol Spray 300ml - contains 0.25% tetramethrin and 0.25% permethrin. Powerful mosquito, fly and flying insect killer for direct spraying of problem pest insects giving a quick knock down and kill effect. Prevent Mosquitoes and Midges Personal Protection Aerosol Spray is a pocket-sized aerosol (11cm tall) which gives 400 measured doses of a natural repellent insecticide for use as personal protection to repel, deter, stop and get rid of mosquitoes, midges and other biting insects. Has a pleasant lemon fragrance. 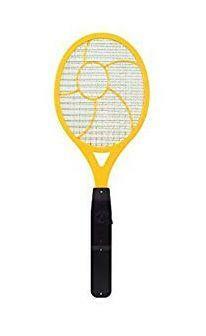 Mosquito and Midge Bat Swatter has an electrified grid that electrocutes mosquitoes, midges and other nuisance flying insects. It is fitted with a safety switch to minimize the risk of misuse by children.